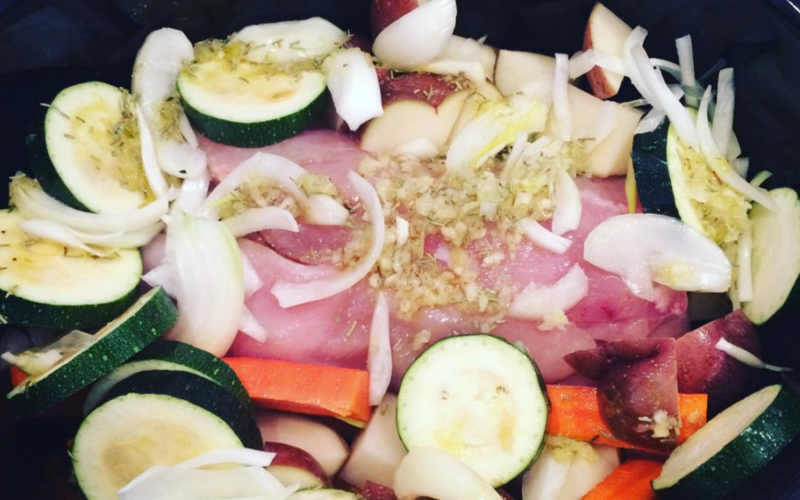 Place chicken breasts in a 4 quart slow cooker and scatter vegetables around them. Combine olive oil, rosemary, onion powder, garlic cloves and salt and pepper together and pour over the chicken and vegetables. Squeeze lemon juice over top of everything. You can pre-make this in a ziplock bag and store in the freezer for an easy “dump dinner” any night of the week. Just place all the ingredients into a Ziplock bag, seal well and freeze. Pull out the night before you wish to eat it and thaw in the fridge before dumping it in your crock pot.